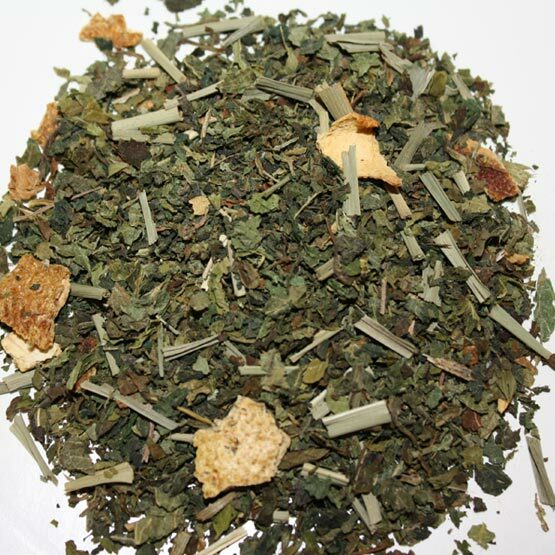 Well known to British tea lovers, nettle is known to be a highly nutritious medicinal tea. Along with a pleasing natural sweetness, nettles have almost all known vitamins and minerals necessary for human health and growth, including vitamins A, C, D and K, calcium, potassium, phosphorous, iron and sulphur. 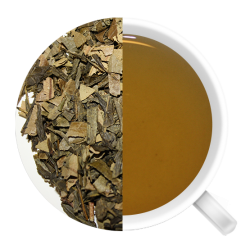 Nettle tea is an effective natural diuretic which can be used to lower blood pressure and is also known to relieve acne and other skin issues as it is a natural detox and anti-inflammatory. 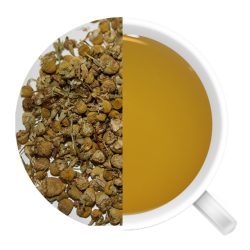 Nettle tea can be effective at reducing symptoms of the digestive tract (ranging from acid reflux, excess gas, nausea, colitis and Celiac disease) and has been known to increase richness and amount of breast milk. 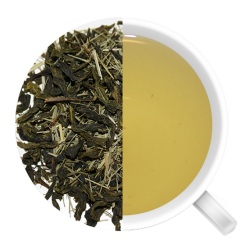 This tea can reduce the severity and occurrence of leg cramps as well as menstrual cramps and can add shine to the hair and skin. Nettle tea’s medicinal action on mucous membranes makes it an effective herbal treatment for sore throats, swollen hemorrhoids, nose bleeds and mouth sores. 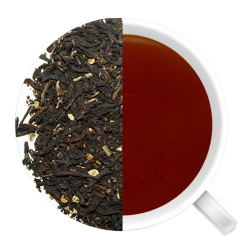 In case the benefits alone aren’t enough, the addition of lemongrass plus orange and lemon peel gives this tea a lovely aroma and flavour. Give it a try today!